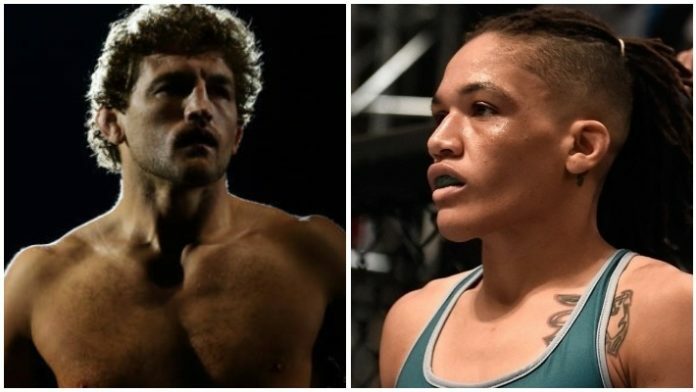 Sijara Eubanks confronted Ben Askren over recent comments he made. Eubanks competed this past Saturday night (Nov. 3). She went one-on-one with Roxanne Modafferi on the preliminary portion of UFC 230 inside the “World’s Most Famous Arena” Madison Square Garden in New York City. “Sarj” won the bout via unanimous decision. Eubanks has only had two fights under the UFC banner, but has perhaps garnered heat quicker than anyone in the promotion’s history. With a 4-2 record, many believe Eubanks is entitled and is due for her comeuppance soon. Eubanks feels she will stun the world and capture UFC gold. Time will tell who gets their way. What do you make of Sijara Eubanks’ personality?